Itâ€™s no secret that the hand-of-god 6.2-liter V8 is popular at TTAC. Those of us who command one with our right foot are outnumbered only by those who wish they had the 420-horsepower engine in their driveway. General Motors sensibly started offering the larger V8 in trims other than ones named Denali a little while ago, finally debuting it in the Tahoe RST late last year. For 2019, buyers of the big kahuna Suburban can spec the hairy-chested 6.2L, as well. The new RST Performance Package, which also appears on the Tahoe, will be an option on the Suburban’s top-tier Premier trim. It is rated at 420 horses and 460 units of twist, just like the engineâ€™s other truck-based applications. Paired with the direct-injection 6.2L is the companyâ€™s 10-speed automatic. Fans of towing gear with their RST Suburban will be gratified to find 3.23 ratio gears in the rear axle housing, plus an available trailer brake controller. GVWR will be either 7,300 lbs or 7,500 lbs, depending on options. The burly Maximum Trailer Package will bring that kit with a different axle ratio on emasculated machines, with the now admittedly workaday 5.3-liter engine. Expect the big-engined RST to haul 8,100 lbs â€” about the same as a 5.3L with the Max Trailer Package but with extra gusto. Outside, GM is playing the same bit of visual chicanery as they are with their RST Tahoe. Two RST packages are available: RST Edition provides the exterior bling, while RST Performance Edition plunks the 6.2L between the fenders. The former is available on both the LT and Premier models, bringing 22-inch wheels wrapped in Bridgestone P285/45/22 tires, a gloss black grille and mirror caps, color-keyed door handles, and blacked-out badging. The latter is only available on the Premier. GM will also be happy to sell you a raft of performance accessories to accompany your 6.2L Suburban, including a Borla-branded exhaust and Brembo-branded brakes. Colors for the high-po RST Performance Edition and low-po RST Edition are limited to the greyscale â€“ silver, white, black, and grey. The 2019 grey is slightly different from the 2018 grey, with Shadow Grey Metallic replacing Tungsten Metallic. Remember that when youâ€™re placing a bid at Barrett-Jackson in 30 years. The body-on-frame family at Chevy absolutely dominates the full-size SUV market, counting for nearly half of the marketâ€™s sales. Right now, GM and Ford are going in opposite directions with engine choices for their large SUVs, as the Blue Oval plugs an EcoBoosted V6 in its Expedition while Chevy continues to offer only V8s. And, as we see here, increasingly bigger ones. Pricing and performance metrics are expected closer to launch. Having already bastardized the Eclipse name by affixing it to a new crossover vehicle, there’s palpable fear within the automotive media that Mitsubishi might try the same with another iconic property. While FTO and 3000GT don’t have the right ring to them, we can imagine trendy performance SUV wearing an Evolution badge â€” to our chagrin. In our fantasies, we imagine Mitsubishi bringing back a new, harder-hitting Lancer compact and a menacing mid-sized Galant. Maybe the Starion could even make an appearance. However, those models probably wouldn’t sell outside the Land of Make Believe even if they were stellar models. Sport utility vehicles and crossovers are where the money’s at right now, and cash is exactly what Mitsubishi is after. Essentially, it’ll be Mitsubishi’s equivalent of the next Nissan Juke, a model that never saw enough love in North America. The report from Japan’sÂ Response (å¿œç­”) indicated it should use the Mirage name, either replacing the model entirely or tacking on the CrossÂ appendix and selling the two models alongside each other. There was also a rumor earlier this year that the Lancer name was being considered for a small crossover yet to be built. This model would certainly fit the bill, so perhaps the naming strategy hasn’t been settled upon yet. A 0.9-liter turbo engine with three cylinders is presumed to be the base engine. That unit is estimated to output around 94 horsepower, which is an improvement on the current Mirage but not exactly impressive. There’s also a rumored 1.5 liter turbo diesel and the prospect of an EV model. Mitsubishi also intends to implement coupe-like styling so it can compete with the Suzuki Swift. With those powerplants and that target, it’s easy to imagine this model staying overseas indefinitely.Â However, that would leave Mitsubishi short of a subcompact in North America. The Outlander Sport is roughly the same size as the new Eclipse Cross and both would be about almost a foot longer than the hypothetical Mirage crossover. Either way, the vehicle is supposed toÂ debut in 2019 as a 2020 model. It was rumored that Toyota would eventually bring some hardware from its Gazoo Racing sub-brand into the U.S. through Toyota Racing Development. Well, the automaker appears to have finally done so, showcasing some of those parts in the 2019 Toyota 86 TRD Special Edition. Before you ask, Toyota has not added any power with the TRD edition. Much like the limited-production Subaru BRZÂ tS, the recipe involves prepping the vehicle for the track with upgraded suspension components, brakes, and tires. There are also visual enhancements that give off a slightÂ boy-racer vibe, though Toyota managed its makeover with more subtlety than the Subaru, what with its large rear wing. 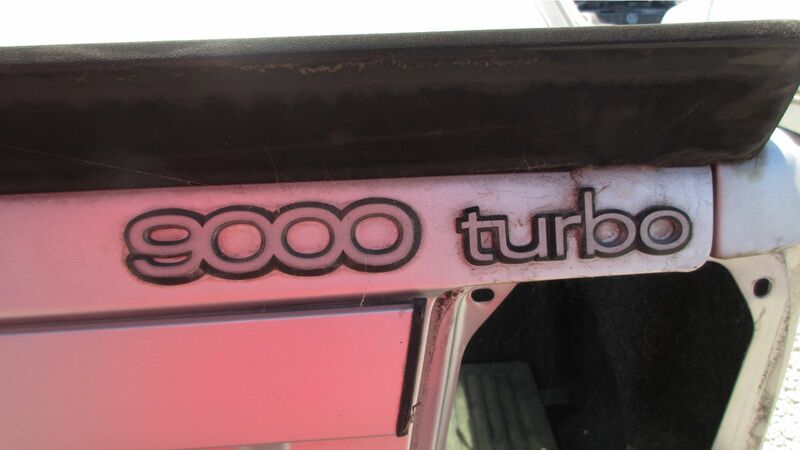 A hulking spoiler isn’t included in the 86 TRD package. Instead, Toyota Racing Development incorporated a body kit, custom exhaust, and some side decals to indicate that this is not the standard coupe. The interior also receives a small diameter, red and black-trimmed steering wheel with matching seats, belts, and Granlux “suede-like” dashboard covering. However, the parts department didn’t stop with visual accouterments. The model gets most of what theÂ BRZÂ tS received behind the wheels.Â Extra-large four-piston front, two-piston rear Brembo brakes (12.8/12.4-inch front/rear) lurk behindÂ exclusive 18-inch alloys. Those oversized feet are also wrapped inÂ 215/40R Michelin Pilot Sport 4 summer tires. Toyota also threw in a set of Sachs dampers to improve stability. More than an appearance package but less than a true high-performance variant, the 86 TRD Edition seems like a cool vehicle if you’re already into the Toyobaru twins. If you aren’t, then you’re probably asking why Toyota didn’t take that naturally aspirated 2.0-liter Boxer out to give it more than its standardÂ 205 hp and 156 foot-pounds of torque â€” or slightly less with the automatic. Frankly, we don’t know either. While the standard model is superb for having a laugh and hooliganism, the idea of selling a track-focused model with stickier tires but without a few extra ponies seems like another missed opportunity. Maybe they don’t want it stepping on the fast-approaching Supra’s toes, as it doesn’t seem to coming with a glut of horsepower, either. Although, if you want something that’s extremely well-balanced and enjoyable to drive, then you could certainly do worse. Sold exclusively in black, possibly because those fun tricolor decals could only work against a neutral color, the Toyota 86 TRD is to be limited to justÂ 1,418 examples â€” with a starting price ofÂ $32,420. However, if you just want to have a good time and don’t need a future collectable, the base model begins atÂ $26,455 and plays host to a fairly serious aftermarket. That model also gets a new “Neptune” paint scheme and and new interior options for 2019. After becoming familiar names in Europe, new tariffs have made the imminent influx of Chinese-branded vehicles into the U.S. less than certain. Suddenly, the 2018 Detroit auto show, with its big display of shiny new GACs (including a luxurious minivan with La-Z-Boy-like rear seats), seems so long ago. But pretend for a second that the new tariffs don’t exist, and that Chinese automakers are poised to open up American showrooms tomorrow. Who’s likely to consider one? Who isn’t? A recent study will almost certainly not surprise you. According to a survey of 1,565 American car shoppers conducted by Autolist, those who already own an American vehicle really aren’t that interested in swapping the stars and bars for a red flag. Pick yourself up off the floor, please. The survey, published by Wards Auto, found that domestic vehicle owners were the least likely to consider a Chinese-brand vehicle. Only 22 percent of respondents said such a vehicle would be in the running. Owners of Korean cars proved the most likely, with 34 percent saying they’d maybe give one a go. That surely has something to do with the massively overhauled reputation of Korean vehicles, which didn’t get off to a great start after entering the U.S. marketplace in the late ’80s. Now, Korean brands dominate the upper ranks of J.D. Power’s initial quality survey. Owners of Japanese and European brands split these two groups, with 30 percent of the Japanese crowd and 29 percent of the European crowd saying they’d consider a purchase. Of the overall group of new car shoppers, 35 percent said they would flat-out refuse to buy a vehicle from a Chinese brand, 27 percent said they would consider one, and 38 percent fell into the mushy middle. Unsure, basically. Given China’s reputation for middling quality consumer goods, and with few Americans ever having had personal experience driving (or even sitting in) a Chinese-brand vehicle, it’s surprising the numbers aren’t stacked even further against China. Opinion surveys are hardly scientific bedrock, and can hardly be counted on as an indicator of potential demand, though the responses do shed light on how a Chinese brand could pick up followers. It’s all about expectations. While nearly half of all respondents (45 percent) who said they would not buy a Chinese car listed quality and safety as their largest worries, a similar-sized group seemed ready to be wooed by rock-bottom prices. Of those willing to consider a purchase, 40 percent listed price as the most compelling reason to buy a Chinese car. Eighteen percent listed technology as their top season, with safety coming in at 15 percent. Both Geely (parent company of Volvo and Lotus) and GAC planned to enter the U.S. market in the next couple of years, but the Trump administration’s 25 percent tariff on Chinese auto imports might kibosh that strategy. In retaliation to Trump’s move, China upped its own tariffs on U.S. vehicles to 40 percent. For 2019, Honda is trying to bring more refinement to its subcompact crossover. Not only does the model receive new technologies, but it also gets a revised CVT, additional sound deadening for a quieter cabin, and an updated all-wheel-drive system with better performance in low-traction conditions. Prices for the 2019 Honda HR-V start at $21,515, up $850 from the 2018 model. The base LX now comes standard with halogen projector headlights, LED daytime running lights, and a redesigned cupholder. Other standard goodies include a 5-inch infotainment screen, LED taillights, steering wheel audio controls, rearview camera, and driver-side seat height adjustment. Notably, the six-speed manual is gone from the lineup, so all models now come standard with a CVT. 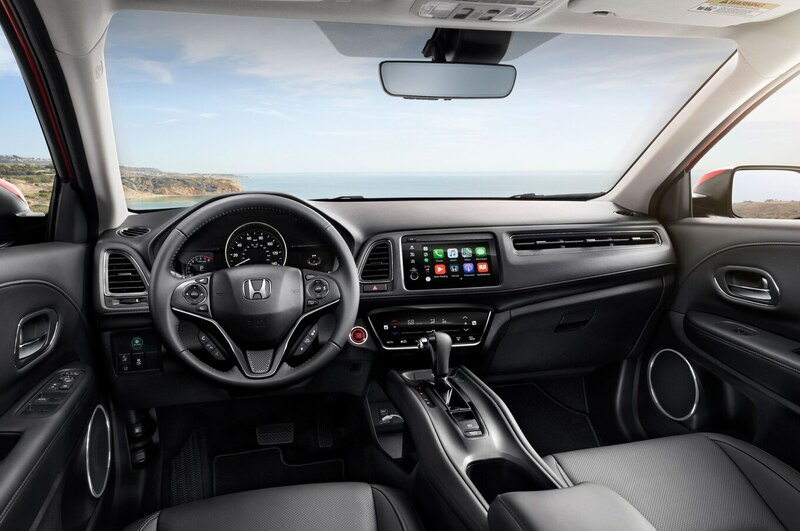 After the LX, Honda has added a new Sport trim, which includes black trim, 18-inch wheels, a black headliner, active noise cancellation, and sport pedals. Variable gear ratio electric power steering comes standard on these models and is intended to enhance steering feel. Like higher trims, the Sport receives an upgraded infotainment system with a 7-inch screen and Apple CarPlay and Android Auto. 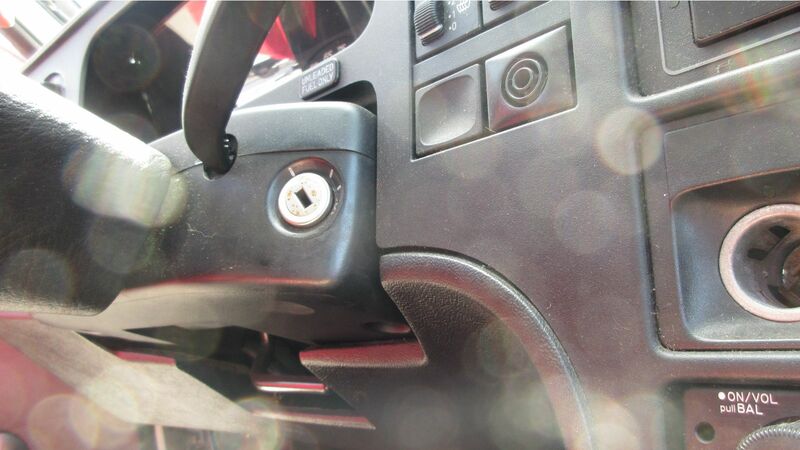 There’s also now a physical volume knob instead of the sliding control function from the previous HR-V. Sport models are priced from $23,215. EX models bring Honda Sensing to the HR-V for the first time. This package includes collision mitigation braking, adaptive cruise control, road departure mitigation, and lane keeping assist. EX buyers, who will pay at least $24,715, also receive a moonroof, heated front seats, fully automatic headlights, and other goodies. On the EX-L, drivers receive leather-trimmed seats, leather steering wheel, leather shift knob, and an auto-dimming rearview mirror. Prices start at $26,315. Opting for all-wheel drive on any trim level brings prices up by $1,400. That’s all trim levels except the Touring, which comes standard with all-wheel drive. Priced at $29,535, this brand new trim level boasts embedded navigation, LED high and low beam headlights, LED foglights, an eight-way power driver seat, and HomeLink. These models also have exclusive 17-inch wheels and double-stitched perforated leather upholstery. 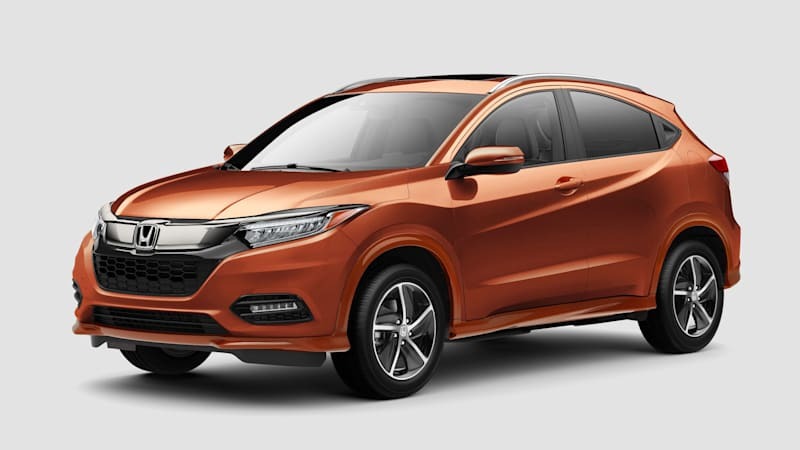 Orange Burst Metallic, Midnight Amethyst Metallic, and Platinum White Pearl are new color options for the HR-V. But the powertrain remains the same: a 1.8-liter inline-four making 141 hp and 127 lb-ft of torque. The post 2019 Honda HR-V Priced From $21,515 appeared first on Motor Trend. To celebrate April Fool's Day this year, Aston Martin released a rendering of the DBX concept that had been turned into a monster truck (shown above). It was a ridiculous image, but Aston Martin really is serious about building an SUV. We've known about Aston's SUV plans for a while, but now we know when the vehicle will go into production. Aston Martin recently announced that the second stage of expansion at its St Athan facility had been completed. With that milestone, the British automaker now has the space to build its first SUV. And with construction completed on time, Aston Martin says the DBX is on track to start production "in late 2019." In the past, we've heard similar rumors, but it wasn't always clear whether the DBX would be on sale at that time or if that was when the production version would be revealed. There was also a question of production delays as Aston Martin worked to convert three former aircraft hangers into modern car factories. That no longer appears to be an issue. We still don't know much about Aston's first SUV, although we do know it won't retain the two-door layout of the DBX concept (pictured below). "There are aspects of the car that have changed dramatically, perhaps none more so than the fact that it is now a four-door," said CEO Andy Palmer last August. He did, however, say the production DBX would still share some design similarities with the concept and that there will be a hybrid option. With the facility completed and production on track, look for Aston Martin to reveal the production DBX soon, potentially at next year's Geneva Motor Show. , and examples are getting very hard to find nowadays. 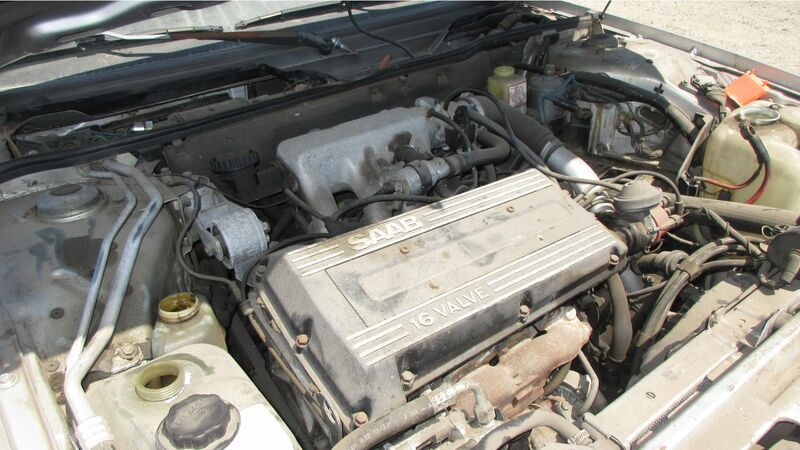 Here's a 200,000-mile turbocharged 1989 Saab 9000 in a San Francisco Bay Area self-service wrecking yard. 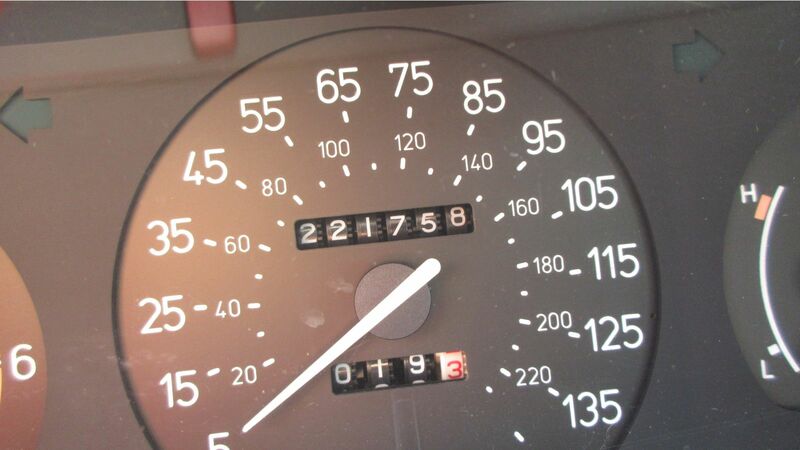 with better than 200,000 miles on the clock. 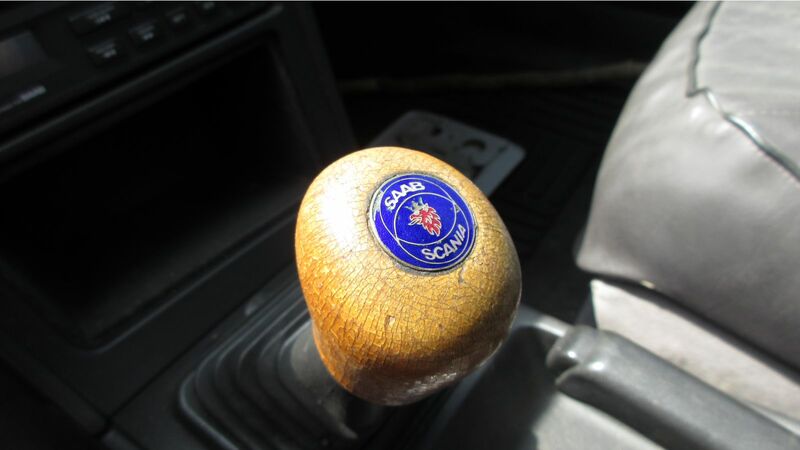 The owner or owners of this Saab loved it enough to keep it in nice shape for a good 30 years, and it drove more than 7,000 miles on average during each year of its life. TR-7. Members of this engine family remained in production from 1968 through 2009.
badging on Saabs went away after 1995.
, but 9000s aren't so easy to find in the big U-Wrench yards in 2018. 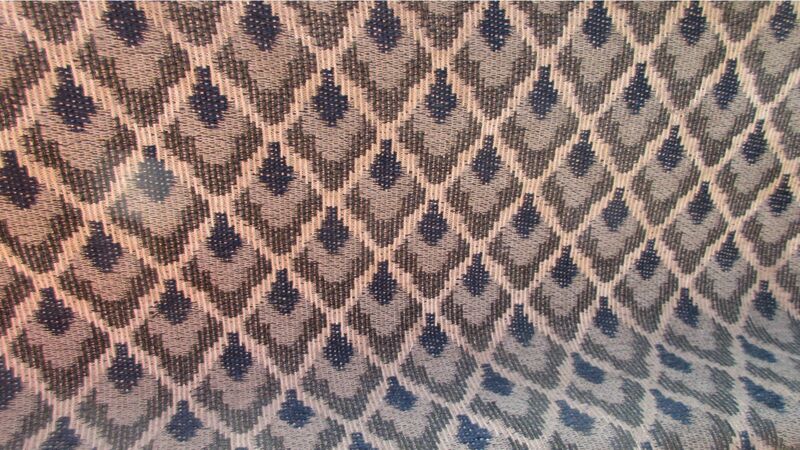 I'm not sure what's going on with the fabric in this car's door-panel inserts. s for the next 30 years. VIDEO Ballet in 3 acts for 8 SAAB 9000 Turbos.
. Sport is one of two new trims, the other being Touring. , prices have crept up across the board. The increases are pretty modest. The least amount of cost increase is from the CVT-equipped LX of 2018 to the 2019 LX. Between the two, the price only went up $50. The biggest increase is between EX models with the CVT, a jump of $200. All of the prices are displayed below. , but does have Apple CarPlay and Android Auto as standard features. The HR-V's now mandatory CVT has been retuned, as well. It now simulates shifts to make it feel like a conventional automatic transmission. Honda says the revised CVT will try to maintain lower rpm more often, and it will raise rpm on deceleration to provide some engine braking. For those wealthy enough to afford a Ford GT â€” and lucky enough to be chosen by Ford for the current model runÂ â€” relax, things could be worse. But there’s no denying that waiting on a car, especially one as scarce and desirable as the GT, is a painful experience. It’s one made all the more painful by the fact that GT production didn’t exactly lift gracefully from the launch pad. Of the 250 GTs Ford planned to build for the 2017 model year, only 138 carbon-fiber beasts left partner Multimatic’s Canadian facility. According to Motor Authority, which came across this tidbit on a Ford GT online message board, a number of issues cropped up early in the second-generation GT’s lifespan. Multimatic planned to build one of the EcoBoost-powered supercars a day, but the ramp-up instead took months. Ford’s partner only reached its goal in mid-2017Â â€” more than half a year after the first GT left the facility. Multimatic hasn’t experienced this pace of production before, and a follow-up inquiry revealed that supplier issues and the extra time needed to paint “Victory” edition GTs added to the shortfall. Ford promises a full complement of 250 vehicles for the 2018 model year. After announcing the initial two-year run, consumer demand for the GT overwhelmed Ford. The automaker soon found itself announcing an additional two years of GT production, wrapping up for the 2020 model year. However, the 138 vehicles built for 2017 means Ford has to play catch-up. Except that there’s one area of the country where that isn’t true at all. In fact, in this hugely popular and wildly growing area, the F-150 doesn’t even crack the top ten. The Volkswagen Jetta outsells the F-150 in this burg. True story. Of course, that’s bad news for the Ford brand as a whole in this town, because if you aren’t selling F-150s, you aren’t selling Fords. As a result, in this metro area, Ford is outsold by Toyota, Chevrolet, Nissan, Honda, Hyundai, and Lexus. Yes, I said Lexus. You wanna know the name of this town? It’s Miami. Although you might think of Miami as an urban city where trucks are rare, in reality, Miami-Dade includes a significant amount of farmland and swamp country. And you know who doesn’t have a problem selling trucks in Miami-Dade? Chevrolet. The Silverado is solidly in the top models sold when it comes to Miami-Dade county registrations for the last 12 months and Ford shoppers, as a whole, are only 3 percent more likely to live in a suburban area than the average auto shopper. And in an America that is increasingly looking a lot more like Miami, that could mean real trouble for the boys in Dearborn. Why does Ford struggle in Miami? The answer could have something to do with the Hispanic population’s perception of the Blue Oval. Miami is 50 percent Hispanic, and according to recent studies conducted by automotive research firms (they’re all behind paywalls, so you’ll just have to trust me), Hispanics are 19 percent less likely to own a Ford than the general population. This doesn’t have anything to do with car ownership numbers overall â€” they are 3 percent more likely to own a Honda and a whopping 36 percent more likely to own a Nissan. Ford also tends to overperform with higher income households, with 35 percent of its shoppers having household incomes of $100k or more. Only 15 percent of Hispanic households fall into that profile. Why don’t Hispanic car buyers like Ford, though? Many of the Hispanic customers I speak to on a daily basis in Miami are very concerned with reliability, and they tend to perceive the Japanese and Korean brands as being of higher quality than Ford â€” they even prefer GM to Ford in most cases. There’s also a surprisingly high level of discrimination toward Mexicans by South Americans, and many of the Colombians, Nicaraguans, and even Cubans I talk to don’t trust the “Mexican Fords” (which doesn’t explain why they prefer the Silverado over the F-150). Hispanic shoppers also tend to be more reliant on the recommendations or advice of friends, and for all intents and purposes, Ford is invisible in Miami. If your neighbors don’t own any, and you rarely see them on the streets, you’re much less likely to buy one when it’s your turn to go shopping. With Hispanics becoming more evenly distributed throughout the U.S., this could become a massive problem in a short time frame for Ford. Significant amounts of Hispanic population growth are occurring in places with previously low Hispanic populations. Areas of the country that have traditionally been solid Ford country might start shifting toward other brands. Of course, it’s not just middle America and rural areas that have growing Hispanic populations. Cities like Miami, Houston, San Diego, Dallas, and others with high numbers of Hispanic residents are among the fastest growing in the country. And while Hispanics make up about 18 percent of the population, they are over represented on dealership lots, as they make 25 percent of the car purchases. What can Ford do to combat this? Plainly stated, they have to make better, more reliable cars, especially at the entry-level price points â€” you won’t find Fiesta or Focus anywhere near a top 10 market ranking in most heavily Hispanic markets. According to JD Power (more paywalls), reliability is on the upswing for Ford, but it still lags far behind Toyota and even Kia. Better marketing wouldn’t hurt them, either. Many of the Ford dealers I talk to complain that Ford uses “Mexican Spanish” in their Spanish language advertising, which turns off South and Central Americans. However they choose to address it, Ford needs to realize that it has a Hispanic problem quickly, before this rapidly growing minority becomes the majority. Otherwise, the F-150 won’t be the King of the Hill for much longer.